The Maryland Jockey Club unveiled its seventh off-track betting facility with a soft opening Wednesday at the MGM National Harbor, a luxury resort, retail, dining and entertainment venue and casino just minutes from Washington D.C. on the banks of the Potomac River in Oxon Hill, Md. The grand opening of MJC's newest OTB facility is tentatively set for Saturday, Sept. 22, to coincide with the Fall Festival of Racing at nearby Laurel Park, a program of seven stakes worth $900,000 in purses topped by the 27th running of the $250,000 Frank J. De Francis Memorial Dash (G3). 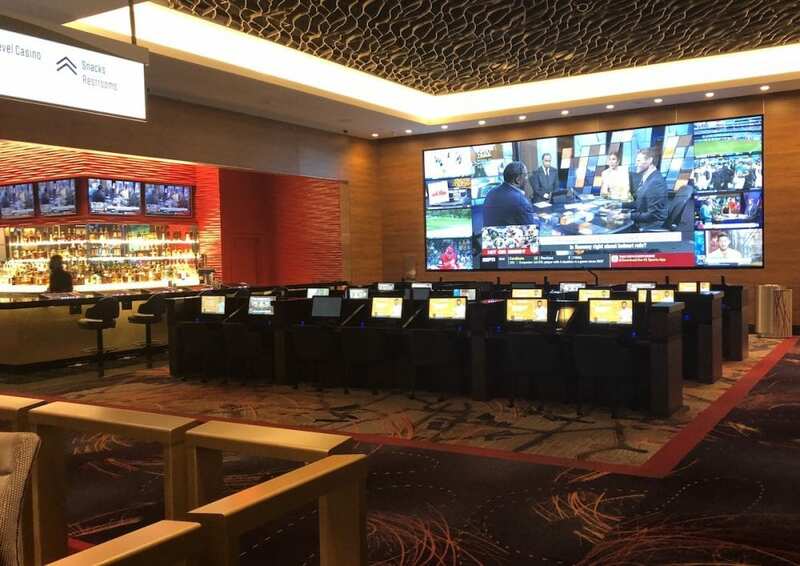 Located on the second level of the casino floor along with a 46-table poker room, the MGM OTB's approximately 1,500-square foot simulcast facility offers 21 carrels for guests, who can also use the adjacent bar area for seating. There will be two tellers, two self-bet terminals and personal Microsoft Surface tablets available for patrons. The MGM OTB joins previous off-track locations in Maryland at the Horseshoe Casino in Baltimore, Greenmount Station in Hampstead, Maryland State Fairgrounds in Timonium, GBoone's Events Center in Boonsboro and Hollywood Casino in Perryville, as well as the Riverboat Restaurant in Colonial Beach, Va. This entry was posted in Horseplayers and tagged Handicapping, horseplayers, laurel park, Maryland Jockey Club, maryland OTBs, MGM National Harbor, off-track betting by Press Release. Bookmark the permalink.